For a wholesale distributor of electrical supplies, auto parts, and industrial products, the best delivery routes run through the cloud. Third-generation, family-run Ideal Supply, a wholesale distributor of electrical supplies, auto parts, and industrial products, is no stranger to innovation. Based in Listowel, Ontario, Canada, the company was one of the first in its market segment to transition to a technology-enabled route planning system with mobile capabilities more than one decade ago when mobile adoption was more of a dream than a reality. Today, Ideal Supply is pioneering another technology shift in its industry by adopting cloud-based logistics management. This shift enables real-time visibility, drives economies of scale, and delivers unprecedented customer service. 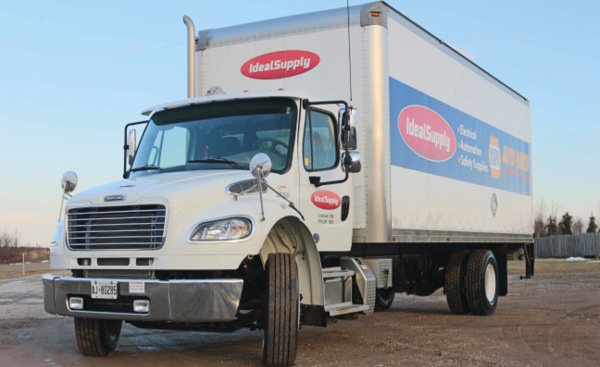 In business since 1926, Ideal Supply has grown to become one of the largest privately owned wholesale distributors of automotive, electrical, and industrial products and services in Canada. In fact, the company is Canada's largest NAPA Auto Parts distributor. Currently, Ideal Supply operates 30 branch locations in southwestern Ontario, has 450 employees, and maintains a 75,000-square-foot distribution center.